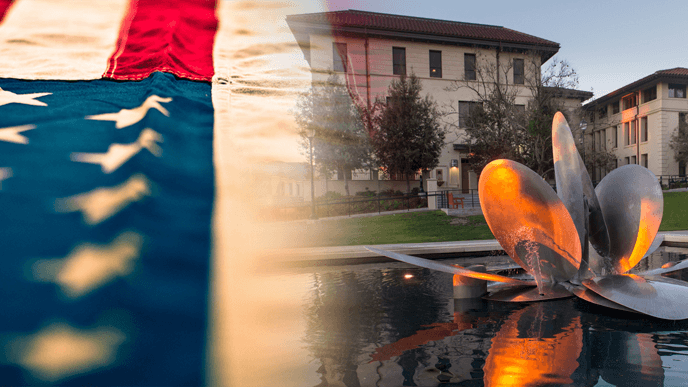 Occidental is now caught in a controversy over the meaning of the American flag. Last week, a group of students planted about 3,000 flags on campus as part of an event to honor the victims of the Sept. 11 tragedy. Others, believing that the flag symbolized racism, xenophobia and other forms of hatred and oppression, threw some of the flags in the garbage and replaced them with posters that honored both the innocent Americans who died in the 9/11 murders and the innocent Iraqis who died in the American invasion of Iraq. They also posted a flyer about America’s mounting Islamophobia and the bigotry directed at Muslim Americans. This incident quickly erupted in a debate over free speech and the appropriate way to express one’s views. I am a strong believer in political protest. I’ve organized and participated in many protests myself and have been arrested for doing so. Civil disobedience that is more visible and collective is a better way to get one’s message across than surreptitiously throwing flags in the garbage and covertly posting flyers in the middle of the night. Even if students or others have the right to do that (I think they do, but others disagree), it isn’t a very effective tactic in terms of changing opinions or changing policy. America has a long tradition of civil disobedience, from the female suffragists who chained themselves to the White House in the early 1900s to win the right to vote, to the sit-down strikes by workers during the Depression to demand the right to unionize, to the sit-ins at Southern lunch counters in the early 1960s to protest segregation, to recent demonstrations at the White House and across the country against the Keystone pipeline, to last year’s the protests at the offices of Congress members on behalf of immigration reform, to the rallies in Ferguson and other cities over police murders, to Occidental students’ occupation of the administration building almost a year ago in response to racial justice issues. Martin Luther King Jr. outlined his thoughts on civil disobedience and protest in his famous “Letter from Birmingham Jail,” written in 1963. Civil disobedience is most effective when (1) the grievances and the demands are clearly stated, (2) the target of the protest is clearly identified, and (3) the protesters are willing to pay the consequences of their actions, including fines and arrest. The vandalism of the flag on the Occidental campus last week may have been a sincere expression of outrage about injustice, but it did not satisfy the criteria for effective protest. The incident triggered lots of conversation about the tactic rather than galvanizing a campus-wide discussion about the people who lost their lives in the 9/11 tragedy, the misuse of that tragedy as an excuse for the U.S. to invade Iraq and the lives lost in that war, and the broader issues of America’s role in the world, U.S. militarism, fear-mongering by politicians about Muslims and one of the world’s great religions, and how to deal with the threat of terrorism. Both sides in this controversy used the flag as a symbol of our feelings about this country and its history. Our views about the flag are as diverse as our nation. We battle over what it means, but all Americans — across the political spectrum — have an equal right to claim the flag as their own. Most Americans are patriotic. Whatever their beliefs, they want to believe that they are good Americans and that their views represent what’s best about the country. A new Gallup poll, conducted in June, found that 81% of Americans say they are “extremely” or “very” proud to be Americans. Another 13% say that are “moderately” proud to be Americans. At the same time, about 70% of Americans told the Gallup poll that they are dissatisfied with the “way things are going” in the United States. They love America, but they are critical of it. Polls show that Americans are upset with widening inequality, the political influence of big business, and declining living standards. Public opinion is generally favorable toward greater government activism to address poverty, inequality, opportunity and climate change. Most Americans worry that government has been captured by the powerful and wealthy. They want a government that serves the common good. They also want to reform government to make it more responsive and accountable. So if progressives want to win Americans’ hearts and minds, they cannot eschew patriotism. They have to claim it and define it as their own. Throughout American history, progressives have viewed their movements — abolition of slavery, farmers’ populism, women’s suffrage, workers’ rights, civil rights, environmentalism, gay rights, immigrant rights and others — as profoundly patriotic. They believed that America’s core claims — fairness, equality, freedom, justice — were their own. For example, Rev. Francis Bellamy, a leading Christian socialist, wrote the Pledge of Allegiance in 1892 to challenge the injustices of the Gilded Age. At the time, reformers were outraged by the widening gap between rich and poor and the behavior of corporate robber barons who were exploiting workers, gouging consumers, and corrupting politics with their money. Workers were organizing unions. Farmers joined forces in the Populist movement to leash the power of banks, railroads and utility companies. Progressive reformers fought for child labor laws, against slum housing and in favor of women’s suffrage. Radicals were gaining new converts. In foreign affairs, Americans were battling over the nation’s role in the world. America was beginning to act like an imperial power, justifying its expansion with a combination of white supremacy, manifest destiny and spreading democracy. At the time, nativist groups in the North and Midwest as well as the South were pushing for restrictions on immigrants — Catholics, Jews and Asians — deemed to be polluting Protestant America. In the South, the outcome of the Civil War still inflamed regional passions. Many Southerners, including Civil War veterans, swore allegiance to the Confederate flag. Bellamy believed that unbridled capitalism, materialism and individualism betrayed America’s promise. He hoped the “Pledge of Allegiance” would promote a different moral vision to counter the rampant greed he thought was undermining the nation. Bellamy initially intended to use the phrase “liberty, fraternity and equality,” but concluded that the radical rhetoric of the French Revolution wouldn’t sit well with many Americans. So he coined the phrase, “one nation indivisible with liberty and justice for all,” intending it to express a more egalitarian vision of America, a secular patriotism to help unite a divided nation. Or consider the lines inscribed on the Statue of Liberty: “Give me your tired, your poor/Your huddled masses yearning to breathe free.” Emma Lazarus was a poet of considerable reputation in her day, who was a strong supporter of Henry George and his “socialistic” single-tax program, and a friend of William Morris, a leading British socialist. Her welcome to the “wretched refuse” of the earth, written in 1883, was an effort to project an inclusive and egalitarian definition of what America could and should be. Katharine Lee Bates — a professor of English at Wellesley College — wrote “America the Beautiful” in 1893. She was part of the progressive reform movement in the Boston area that was concerned about labor rights, urban slums and women’s suffrage. An ardent feminist, for decades she lived with and loved her Wellesley colleague Katharine Coman, an economist and social activist. She wrote “America the Beautiful” not only to celebrate the physical beauty of the American continent but also to express her outrage at U.S. imperialism in the Philippines, which she believed undermined the nation’s core values of freedom and liberty. The poem’s final words — “and crown thy good with brotherhood, from sea to shining sea” — are an appeal for social justice rather than the pursuit of wealth. America never was America to me. Let it be that great strong land of love. It never was America to me. Many Americans consider Woody Guthrie’s song “This Land Is Your Land,” written in 1940, to be our unofficial national anthem. Guthrie, a radical, was inspired to write the song as an answer to Irving Berlin’s popular “God Bless America,” which he thought failed to recognize that it was the “people” to whom America belonged. During the 1960s, American progressives and radicals fused their love of country with their opposition to the government’s policies. The March on Washington in 1963 gathered at the Lincoln Memorial, where Martin Luther King Jr. famously quoted the words to “My Country ‘Tis of Thee,” repeating the phrase “Let freedom ring” 11 times. Her glory shall rest on us all. Only as tall as we stand. Because my country is all I know. I got no place else to go. America now confronts a new version of the Gilded Age, brought upon by Wall Street greed and corporate corruption. Americans are angry about the gap between rich and poor, the unbridled selfishness and political influence-peddling demonstrated by banks, oil companies, drug companies, insurance companies and other large corporations. They are angry at the growing power of American-based global firms who show no loyalty to their country, outsource jobs to low-wage countries, avoid paying taxes and pollute the environment. We are, once again, battling over immigration and who belongs in America. Some right-wing groups and talk-show pundits, as well as Donald Trump have even challenged the citizenship of President Obama. We are witnessing a new wave of protest around the racism of police, courts and our entire criminal justice system. These trends have triggered a growing grassroots movement — reflected by Occupy Wall Street, the Fight for 15, the Dreamers, Black Lives Matter and others — involving a diverse coalition of community groups, immigrant rights organizations, unions, consumer advocates and human rights activists — demanding stronger regulations to protect consumers, workers and the environment from abusive corporations, living wages, fairer trade, an end to police abuse and mass incarceration, and higher taxes on the very rich to pay for better schools, safer roads and student loans. This movement embodies the idea of “liberty and justice for all.” It recognizes that no group has a monopoly on patriotism, the flag or a belief that America can become a more humane and inclusive country. Peter Dreier is professor of politics and chair of the Urban & Environmental Policy Department at Occidental College. His latest book is The 100 Greatest Americans of the 20th Century: A Social Justice Hall of Fame.